Raising the Maibaum is a Bavarian German tradition in Putzbrunn, Germany. Traditional Maibaumfest in Putzbrunn in Southern Bavaria, Germany, near Munich. 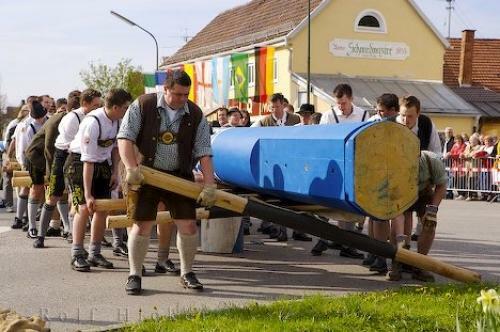 Photo of traditions held by the German people in Putzbrunn, Southern Bavaria.